This Grilled Chicken with Green Bean Potato Salad is one of those perfect-for-every-season meal. Light, full-filling and completely mayo-free and gluten-free! 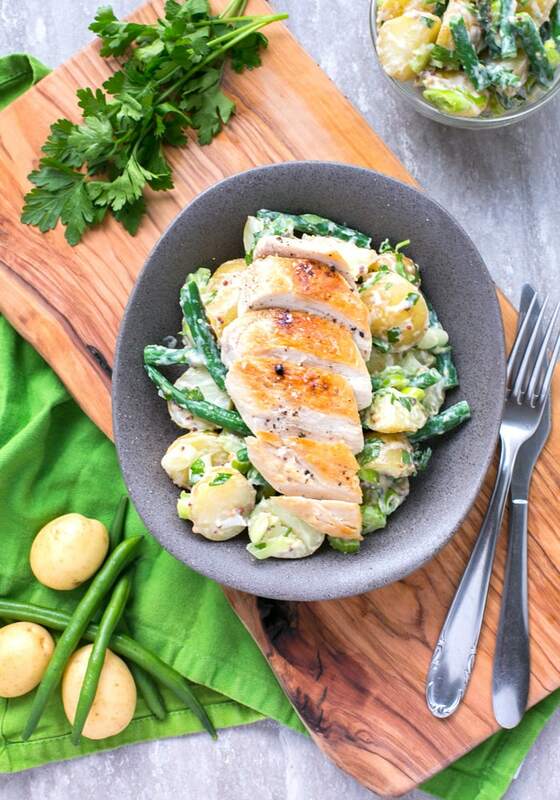 Ready in just 30 mins, and with less than 10 ingredients required, this Grilled Chicken with Green Bean Potato Salad is also awesomely gluten-free. It’s one of those simple meals great to enjoy when you have had a busy day and really don’t won’t be around the kitchen more than necessary. 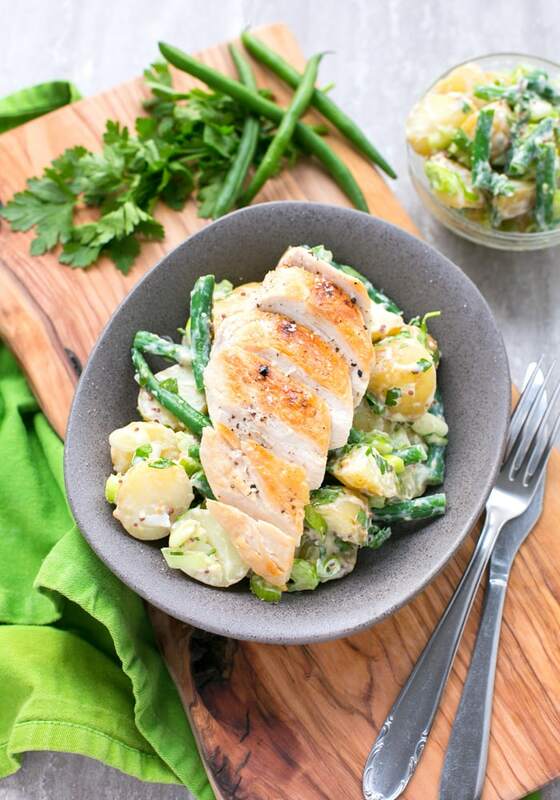 Served with a simple grilled chicken breast for a healthy summer meal option, this easy refreshing Green Bean Potato Salad is made with new potatoes and crispy green beans tossed in a vibrant mustard vinaigrette. It’s super versatile, and great with grilled fish, a simple poached egg or slow-cooked beef for a more wintery meal. I always try to make the effort and prepare new creative recipes for the whole family to enjoy, so we don’t get bored with the same meals over again (although we do have a few family favorites that I keep doing over and over again). But sometimes I just get stuck for ideas, or simply don’t have time and energy to think about our next meal, and that’s why HelloFresh comes super handy if you have a busy life like mine. 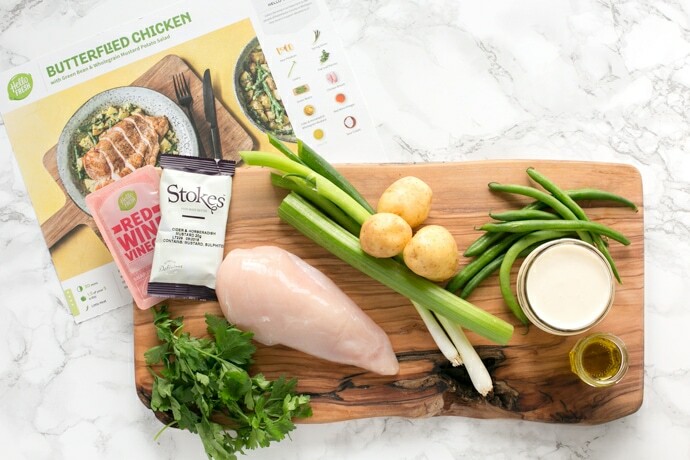 HelloFresh offers a huge range of weekly meal boxes, each containing easy-to-follow recipes with step-by-step pictures, plus all the ingredients you need. Each recipe box contains the exact ingredients and quantities you need to make up your meal. 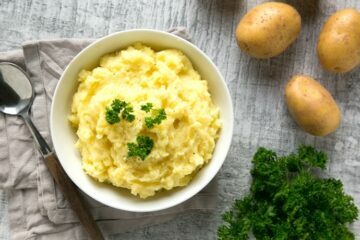 I absolutely love this, because there’s no need to weigh up the ingredients, no waste involved and it’s great for portion control. It really makes cooking totally fuss-free. 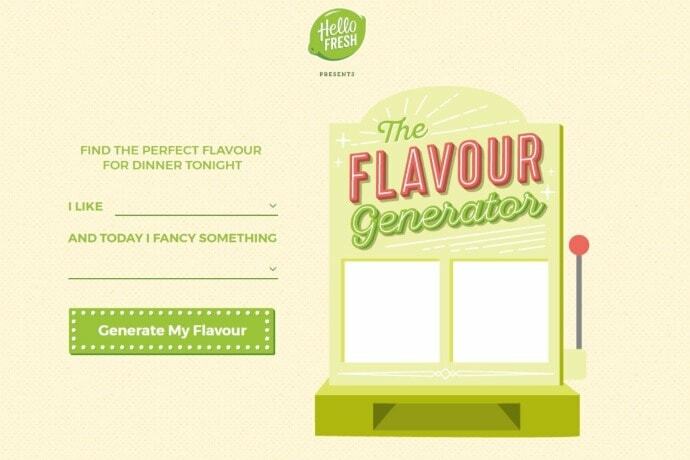 HelloFresh is also the mastermind behind the genius online tool The Flavour Generator. This fantastic, quick and easy-to-use online recipe generator will help you find the perfect flavour combinations for your next meal. All you have to do is choose your favourite cuisine from the drop-down menu (Italian, Indian, British, Mexican to name a few), choose whether you fancy something spicy, sweet or tangy today (again there are more options), then press the ‘Generate My Flavour’ button and check out the recipe options that meet your taste! 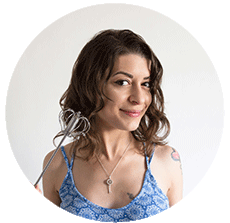 The Flavour Generator will supply the recipe, the ingredients for two or four people, the utensils you will need, nutritional values, and easy step-by-step pictures. I gave it a try and put “mexican” cuisine and “tangy” flavour, and I came up with a Quickdraw Quesadillas with Tomato Salsa and Citrus Sour Cream recipe, which sounds absolutely amazing. 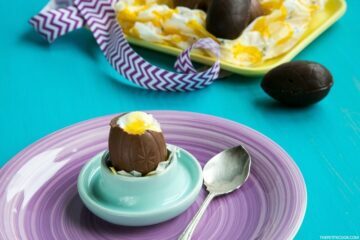 Definitely next on my list of recipes to try! I can see myself using the Flavour Generator whenever I lack of cooking inspiration from now on. 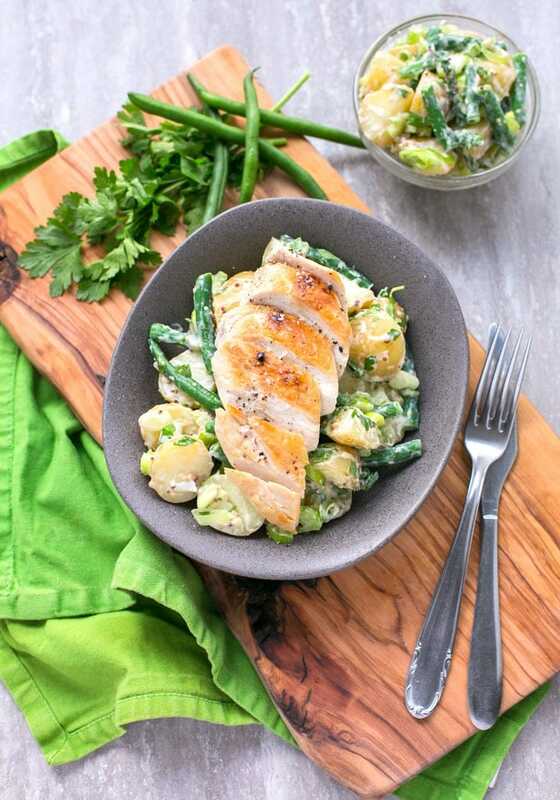 Back to this awesome Grilled Chicken with Green Bean Potato Salad – It really makes a lovely fuss-free meal to enjoy these last days of summer. It’s perfect to feed a whole family or for a quick meal for yourself when you don’t fancy cooking too much. Plus the Green Bean Potato Salad tastes incredible even the next day, so it makes a great option for a lunch box to bring along at work. 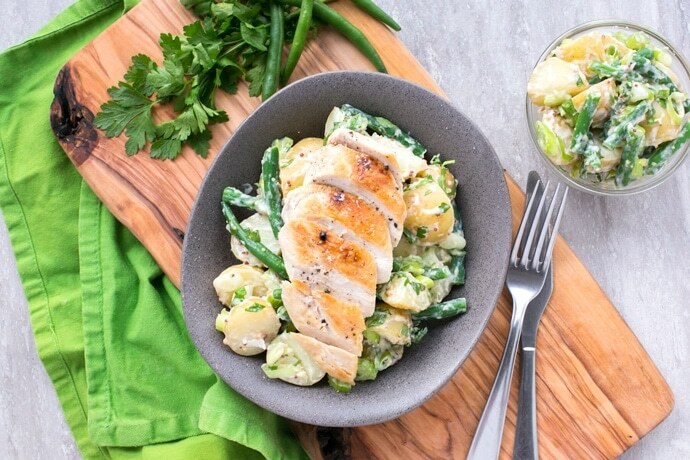 Light, full-filling and ready in less than 30 mins, this Grilled Chicken with Green Bean Potato Salad makes dinnertime as easy as it could possibly be! This Grilled Chicken with Green Bean Potato Salad is one of those perfect-for-every-season meal. Light, full-filling, completely mayo-free and gluten-free! Bring a large saucepan of water with a pinch of salt on to boil. Pour in the prepared vinaigrette, sour cream and mix all the ingredients together. Allow to rest to bring out all the flavour, in the meantime prepare the chicken. Remove from the pan and serve alongside your prepared green bean potato salad. Wow, that looks delicious! 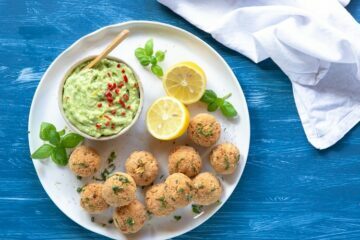 HelloFresh shows us how easy and enjoyable gluten-free living can be. Wow this looks so delicious. I’d love to try this out myself at home. Your photography skills are amazing! What a lovely summery dish. So easy and simple to make too. The Flavour Generator is a genius idea! I am definetly going to check out the flavour generator, it’s so hard to come up with original ideas for meals all the time. This is a perfect summery dish light and healthy. Another wonderful looking and adventuresome dish,Andrea….enjoyed reading this and I also pinned it.